The brand new Cormate Chase 34 from Hydrodesign in Norway is something really special. Chase 34 is a complete new and revolutionary boat concept. And the idea comes from the car industry! For 15 years ago our typical costumers drove luxury sedans, now it's very much changed towards more user friendly and sporty high-performance SUV's, as Range Rover and Porsche Cayenne. But we couldn’t see any equivalence when it comes to boats. 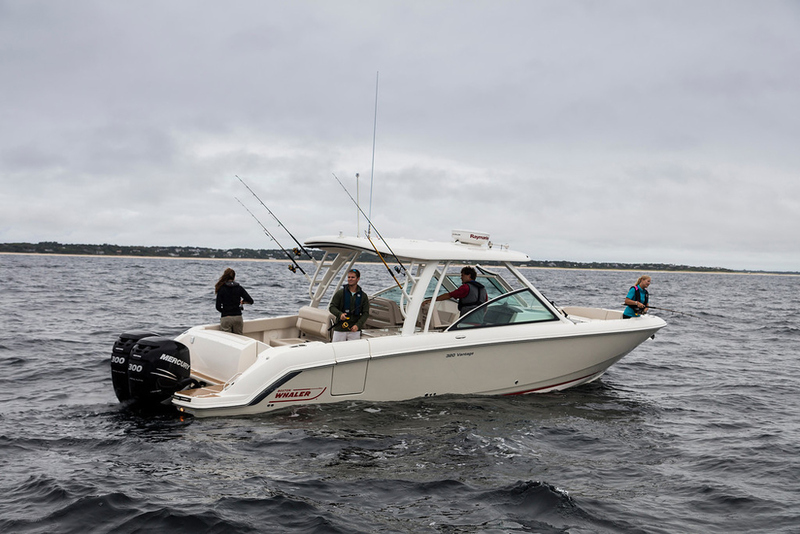 You can buy a fast ocean-going RIB, with excellent rough-sea capacity, or you can buy the comfort and quality feeling of a high-quality Day Cruiser. But for most customers the high-performance RIB alternative is too basic and minimalistic for multipurpose family use. And most Day Cruiser simply don't have the performance, rough sea capacity and sporty feeling some of these customers wants. Cormate wants to eliminate this dilemma by making a high-performance SUV for the water. A boat which combines the rough sea capacity, user-friendliness and speed from the best offshore RIB's, and the comfort and luxury feeling of the high-quality Day Cruisers. The hull is a development of our very advanced and efficient Monostep technology, but the length/width ratio is inspired by the real ocean going offshore racers from the 60'ties and 70'ties. These tough races were dominated by Ray Hunt and Don Aronow hulls, before the races was moved to more shelter waters. These boats had 24-25 degrees deadrise and often a 4:1 length/width hull ratio. This ratio was an excellent compromise between the need of high speeds in flat and choppy waters, and a safe hull with enough hydrodynamic bow lift and buoyancy for the toughest ocean racing. 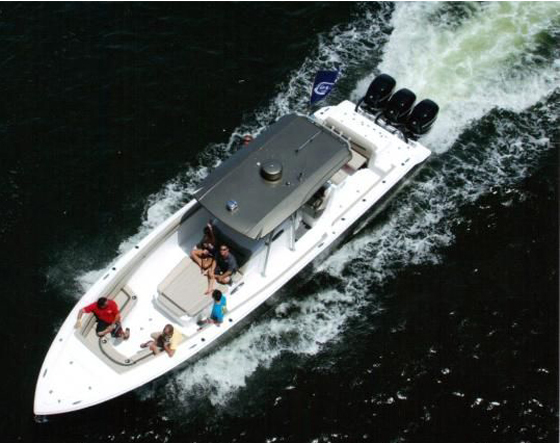 A 4:1 hull ratio is considered extreme by todays standard and few boats of Chase 34's size have this high ratio. The downside is normally less usable cockpit volume, but the Chase 34 has a is very clever usage of each cm of width, and the inside cockpit volume is comparable or even better than many competitors of the same size. The outside width is only 255 cm (263 cm with heavy duty rub rail), this makes the Chase 34 easily trailable and even transportable in an open sides container. The narrow beam and the use of; vinylester, unidirectional fiberglass, high quality core materials and infusion technology, makes the boat extremely rigid, strong and light. 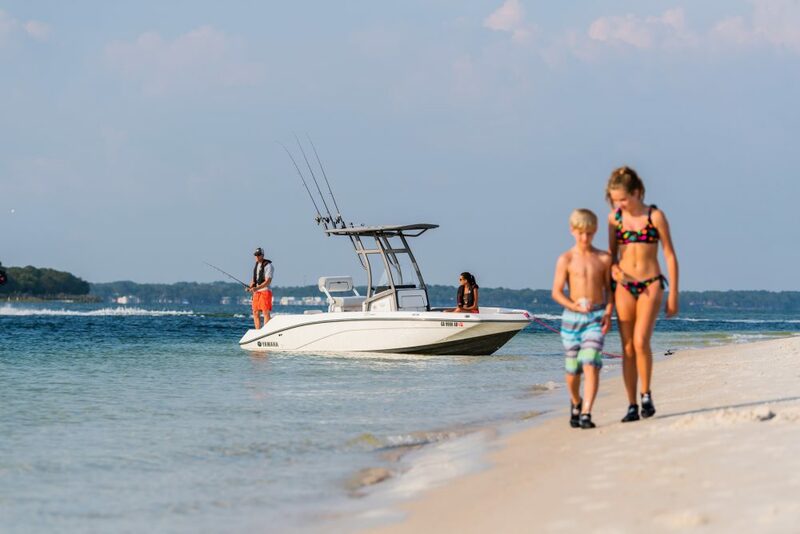 The rigid and compact hull, the 24,5 degrees deadrise and the 4:1 hull ratio make the Chase 34 cut through big waves in an extremely soft way, without the discomfort of slamming noses. The reverse rake windshield gives better wind and weather protection, especially when driving half standing in the offshore seats. It also gives more cockpit volume, les disturbing reflections and better rain visibly. All these construction parameters also make this boat very suitable as a Chase boat for the Superyacht marked. Because of its very efficient and advanced stepped hull and the low weight, the Chase 34 have an exceptional low fuel consumption and high top-speed. With a single Mercury 370 hp TDI V8 diesel it will reach 46 knots, with fuel consumption of only 1,15 l/nm at best cruising speed. 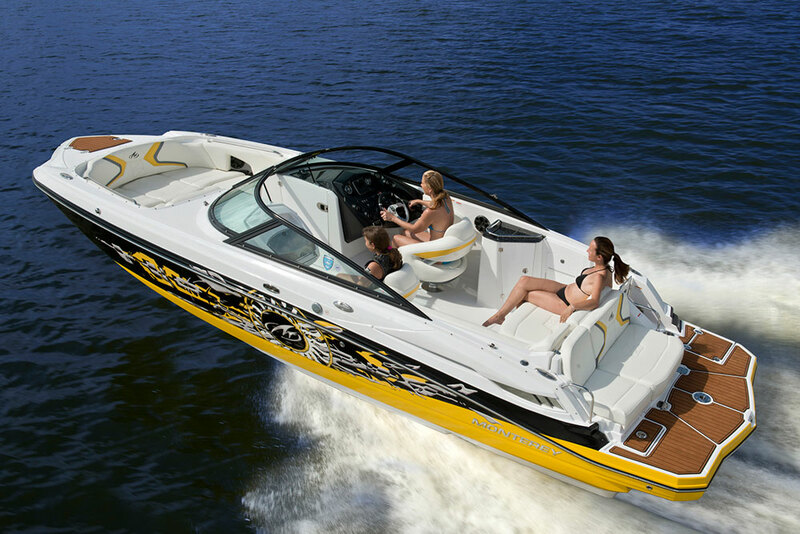 With 2 x Mercury High Performance 540 engines, the top speed is calculated to 80 knots.